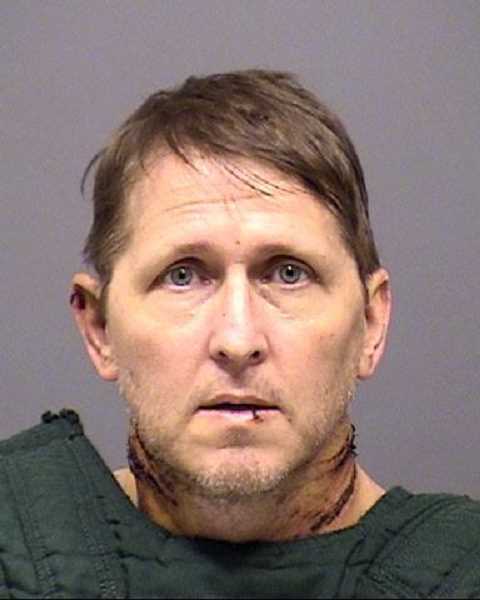 Michael David Winchester was arrested Monday afternoon and charged with murder in the Jan. 30 slaying of his wife in the River Run neighborhood of Lake Oswego. LOPD Lt. Darryl Wrisley said officers transported Winchester from Oregon Health & Science University Hospital to the Clackamas County Jail, where he was being held Monday night without bail. No other details of the arrest or crime would be released, Wrisley said, until after investigators conduct additional interviews with witnesses. Police were called to the Winchesters' home near the intersection of River Run Drive and Bass Lane shortly after 4 p.m. on Jan. 30 by the couple's 18-year-old son, who had returned to the house to discover what he believed was a "medical emergency" and is now being called a crime scene. Wrisley said police found 50-year-old Heidi Anne Winchester dead in the home and her 52-year-old husband in need of medical attention in the garage. According to the Lake Oswego Fire Department, Heidi Winchester's body was found face down on a bedroom floor and was covered in blood. There was also a substantial amount of blood covering the bed and on the floor, the LOFD said. A weapon was found in the home, Wrisley said. It was not a gun, he said, but he declined to elaborate and would only add that the public did not appear to be in any danger. Michael Winchester was taken to the hospital at OHSU, where he was held for observation and treatment of his injuries until Monday and then arrested after his release. An autopsy was performed on his wife last week to determine the exact cause of death; those results have not been released. The Clackamas County Major Crimes Team was at the Winchesters' house on Bass Lane for hours on Jan. 30. Wrisley said at the time that officers were with a suspect, although he declined to say whether that suspect was the injured husband. He did say, however, that neither of the couple's two teenage sons, Michael Jr. or Blake, were suspected in the case. On Tuesday, the boys released a statement through the LOPD, saying they "appreciate all the support we have received in the last few days." "We ask that you please respect our privacy while we mourn the death of Heidi and focus on supporting each other and our extended family," the statement said. " We will not be accepting any requests from the media for statements or interviews. Please allow us the time and space to heal and move forward." A private family service will be scheduled for Heidi Winchester, the family said. No other details about the crime or the arrest have been released. But with Monday's arrest and murder charge, the incident officially becomes the first homicide in Lake Oswego since February 2016; the murder charge in that case was later reduced in a plea deal to first-degree manslaughter. Community members have started a GoFundMe account to support the Winchesters' sons, Blake and Michael Jr. By midday Wednesday, they had raised more than $35,000 toward a $50,000 goal. Find the page online at tinyurl.com/WinchesterSons.